Another cute blogspot template, similar with previous template design. It represent cupcake shop or bakery shop with its wooden wall, combined with scrapbook cupcake graphic style. Ribbon and cute rooftop complete the cupcake shop inspiration. 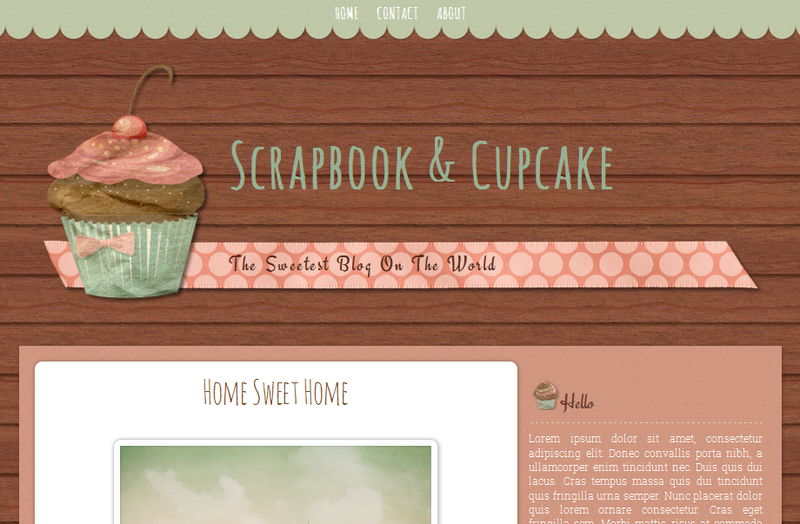 Use this cute blogspot template for your personal cupcakery blog, cupcake online shop, or everything about cupcake. Please preview Scrapbook & Cupcake template HERE and you can download XML file HERE.